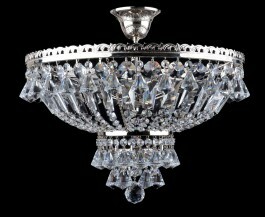 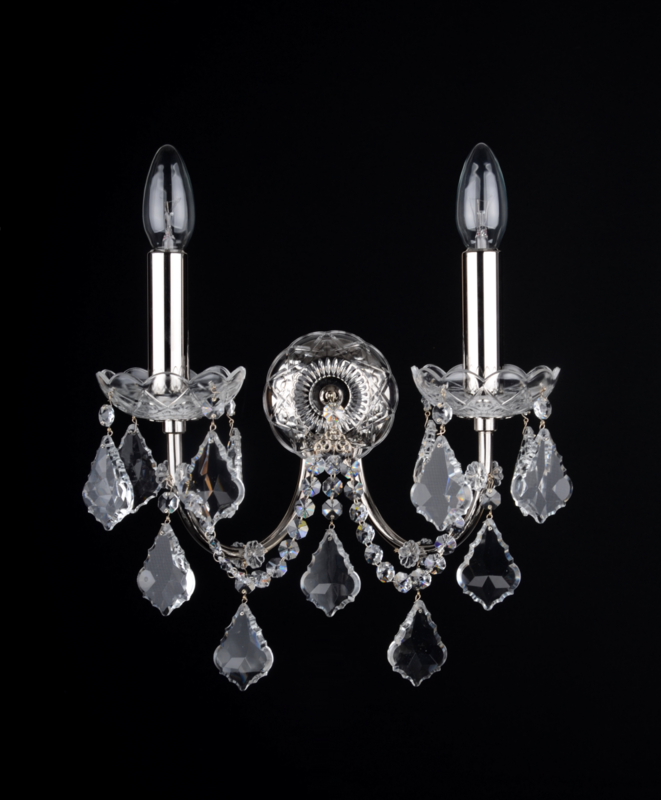 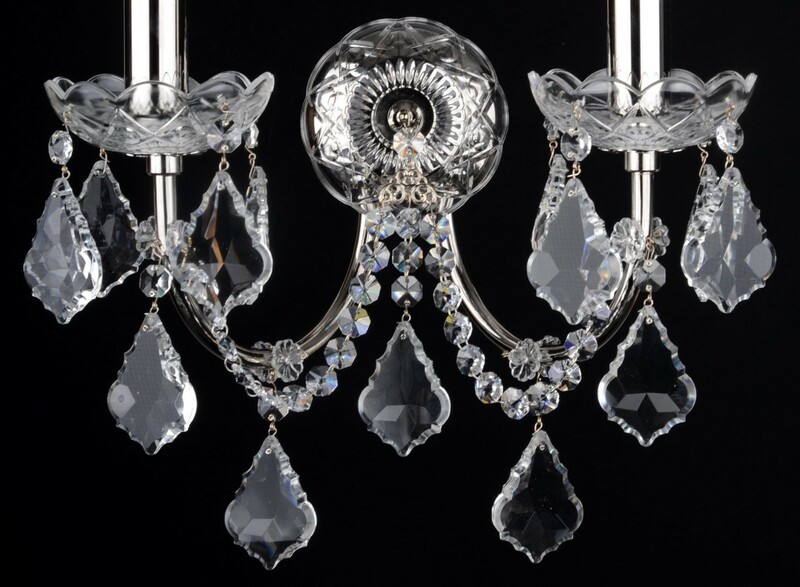 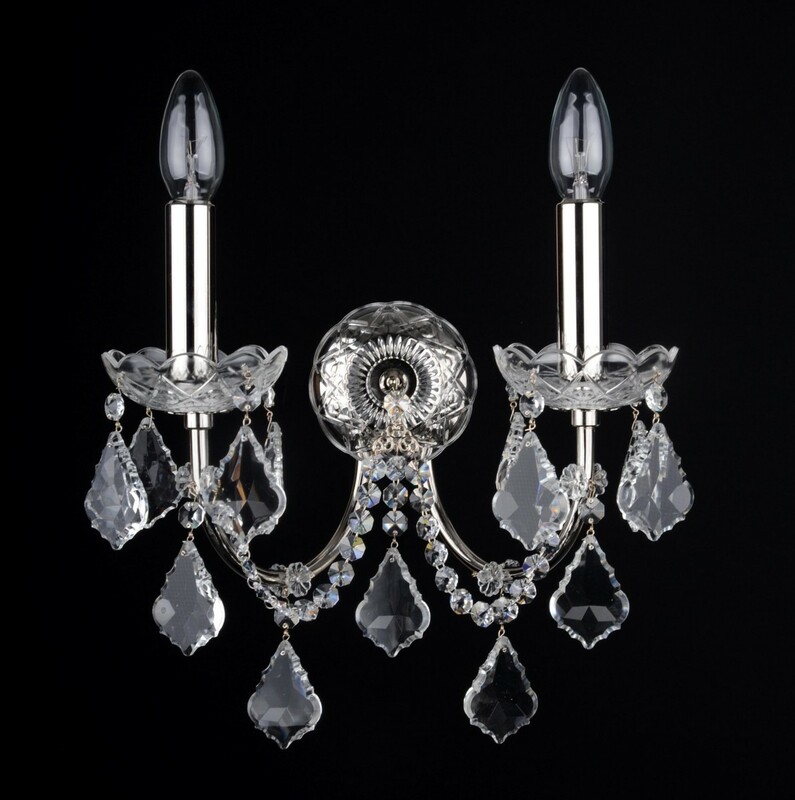 The 2-Arms crystal wall light with cut crystal pendeloques and glossy silver metal arms. 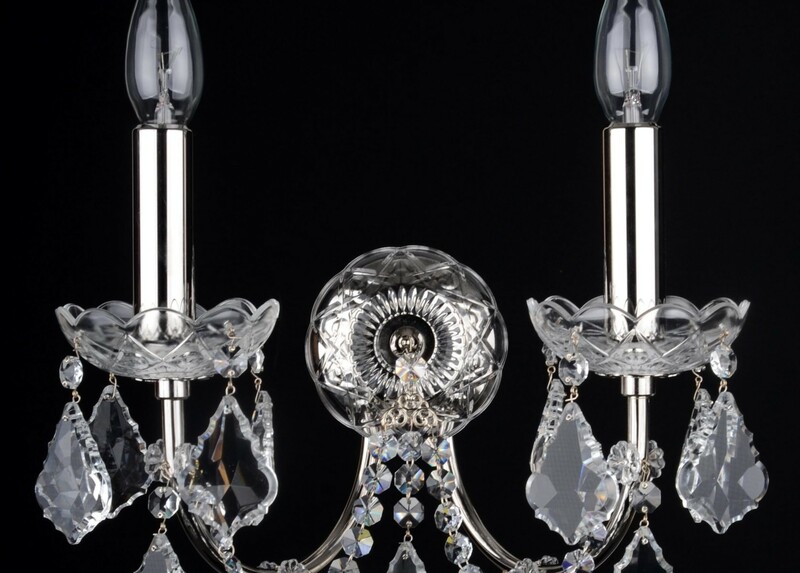 Metal finish: Silver nickel coated brass. 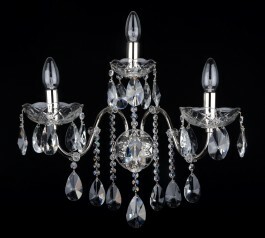 Dimensions (W x H x D): 35 x 36 x 23 cm/ 14.3"x14.7"x 9.4"